Every website needs an “About” page and every speaking opportunity needs a bio. And I hate writing them. Well, actually, I don’t mind writing them about other people. It’s just writing my own that is right up there with a DIY appendectomy. I struggled with it for months, probably years, and never got it quite right. I even enlisted the help of others, some paid, and that was good enough for a while. But it just didn’t sit quite right. Bios are funny things because they are used to judge your personality, your qualifications, your potential, and your hire-ability. They really need to reflect your voice and who you are. And I just couldn’t get that quite right. 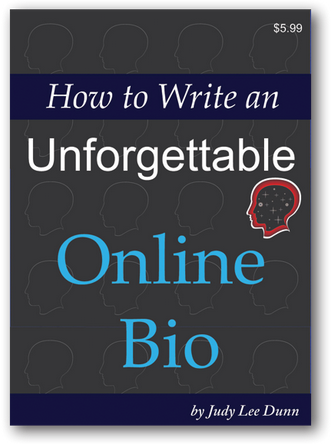 Until I found How to Write an Unforgettable Online Bio. I found it through my friend BobWP (aka Bob Dunn). Actually, his wife Judy wrote it, but he sells it on his site for $5.99. With all the time I’d already invested, that was birdseed. It was a quick read that got right down to business and in less than two hours I had totally rewritten my About page and it finally felt like a broken-in leather jacket. There’s lots of good information in the book to help you understand the importance of your bio, how they are used, and what mistakes to avoid. That background helps you make some decisions about the purpose and tone of your bio. I had been working on mine for a long time, so none of this was new to me. But then I got to Chapter 5 and the six questions that helped me focus directly on what to write and how. Even after my first draft I knew I’d found what I’d been looking for. Is it done? Never. It’s always going to be something I look at and tweak from time to time. But I’m no longer uncomfortable having people read it. I recommend this book if you’ve struggled with your own. I am so happy I found this book! I’d struggled with my bio for a long time. By the time I finished the exercises in the book, I knew I finally had a keeper. Made one of my most difficult tasks quick and easy and I’m stoked with the result! Aw, Julie, thanks so much for this amazing review post! I’ve even found myself, as a copywriter, being a little stumped writing my own bio, even though I wrote scores of them for other people. So there’s that too close, lack of objectivity thing, too.